$45/person for 1 hour, $55 for 1 1/2 hour, and $65 for 2 hours. $150 for half day and $250 for a full day. Pack trips are also available. 6 Years – Our insurance requires each person has their own horse. 260 lbs. Please let us know if anyone in your group is over 220 lbs. Our Red Lodge rides starts along scenic Rock Creek where you will gradually rise to a vista from which you can see seven different mountain ranges. 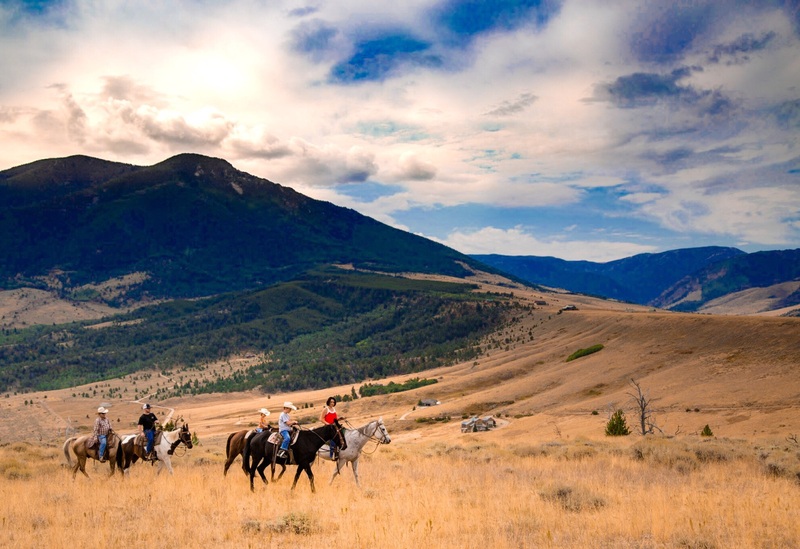 These rides start just minutes from downtown Red Lodge and will give you a real flavor of western adventure. Hourly, half day and full day rides are available.